May I ask, if you know that it's not perfect, why don't make them perfect? Oh, please: Only God is perfect, if there is a god. 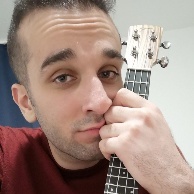 I´m not going into any further discussions with you dude because can imagine that you are only up to trolling the foro and mess it up for others and dealing with members like you just make me feel dirty and ruins my day. Very well said Anders. Bravo ! Very nice guitars as usual. 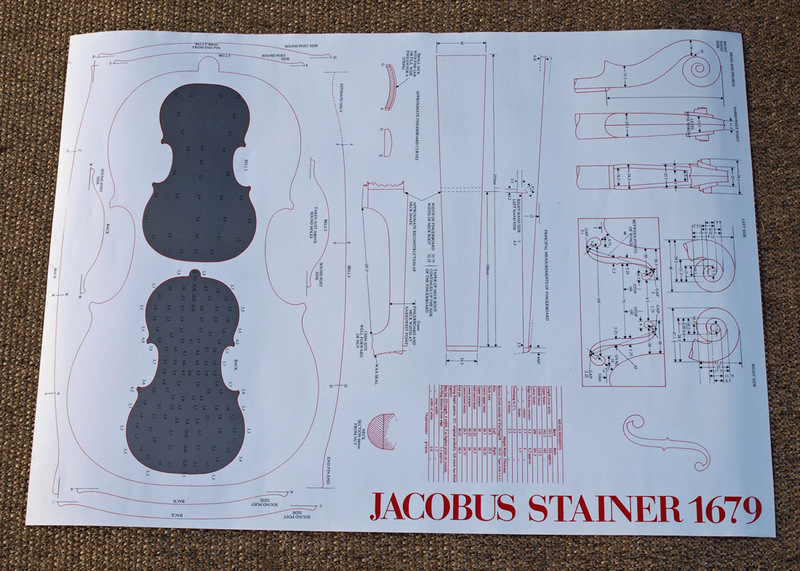 So I bought this poster with dimensions on the backside from thestrad.com. * The only violin made by "the old masters" that I have tried was a Stainer and it was the sweatest little thing I have tried. Very good for everything pre-romantic era and for fiddling. Being Jazz or folk. 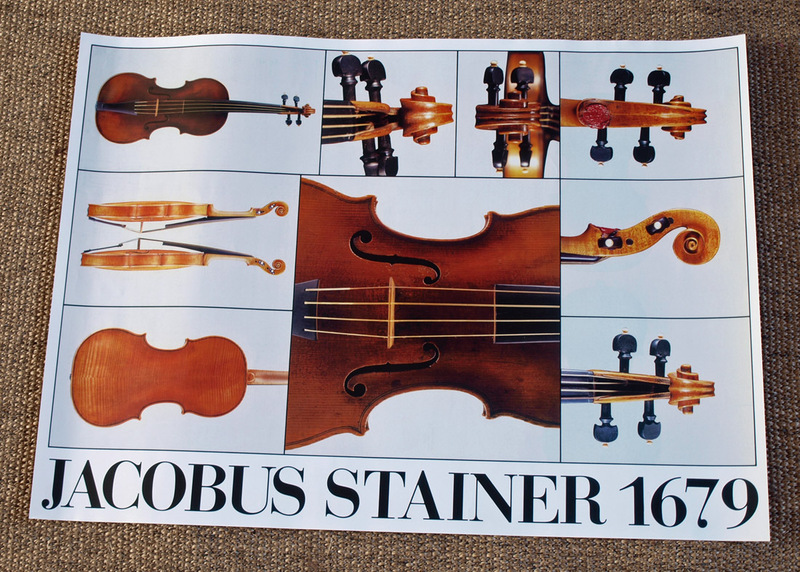 *Its the only poster of a true baroque violin out there. All the others have been converted. If anyone here is interested in learning a bit about the difference between baroque violins and modern violins, here´s a link to a pretty decent and at the same time "light" article that can serve as an introduction. I know very well that its nothing in the www blog world, but for me its a small sign of still being alive. So thanks to all of you who have supported my work so far. I occasionally look into your blog because I enjoy your craftmanship. keep up the great work and please keep your art alive ! Ethan, I you have the time, building a small lapstrake boat is some of the most enjoyable on earth. There´s something about the lines of the strakes. You can just sit and look at them and dream away. A wondefull way of wasting time. Just the other day my son and I were reminiscing about our visit to the Viking ship museum on Bigdøy in the Oslo harbor. Every element of the Gokstad ship is purely functional in design. There is absolutely no superfluous decoration. It is one of the most beautiful objects I have ever seen. ..my son was 12 years old then, 34 years ago. The other day he asked me whether I remembered what I had said, after we admired the ship in silence for several minutes on that snowy winter afternoon. "Yes. I said, 'Wouldn't it be fun to go to England in that, in the summertime.' "
Yes, these viking ships are impressive. We have a few hanging around here in Denmark as well. Both original ones in museums and replicas that are being used. 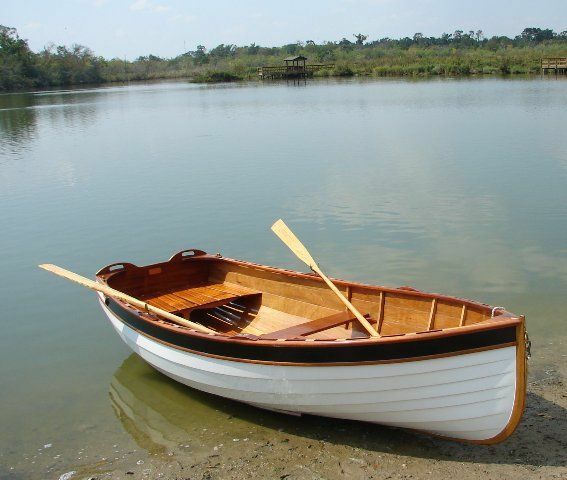 My personal taste is for smaller crafts and I have a soft spot for Yacht tenders like this Iain Oughtred "Puffin"
I like to keep things simple. So instead of the usual white/black/white purfling, this one has a 1,5mm thick solid cypress purfling. Very nice, Anders. I do something similar with maple, but your cypress makes a different effect because it is so uniform and smooth looking. +1 for being very nice. Anders. I like the contrast of the cypress and the RW. The purfling looks great, good proportions, I can see how violin making has worked for you. 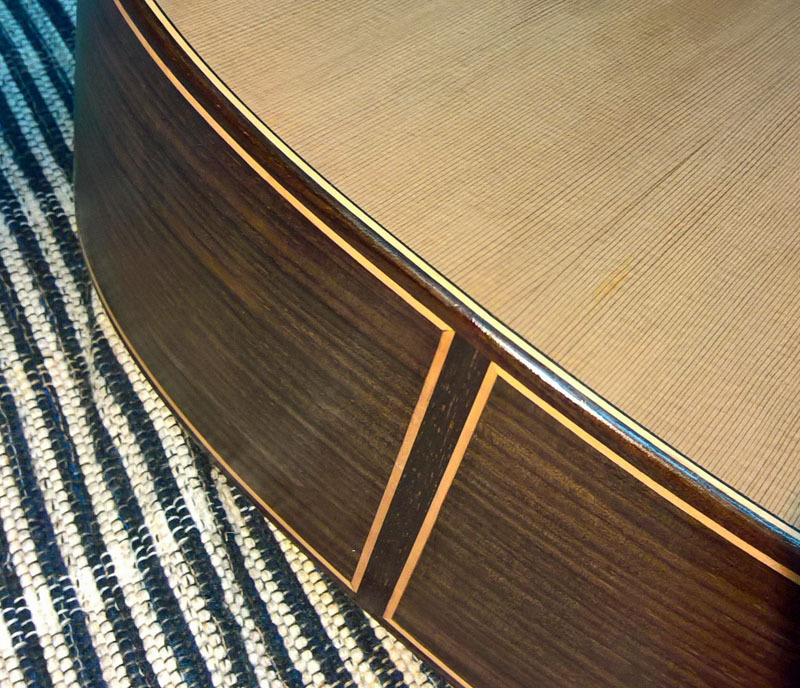 I've never liked finicky line work because it is anti violin making and the guitar definition of edges and shape suffers for the decorative edges that have become popular on guitars. I just cut down a tree similar to Poplar and have it at the resawyer's place now. I'm waiting to get it back as 4mm sheets which sliced at 1.5 mm will make about two miles of purfling. 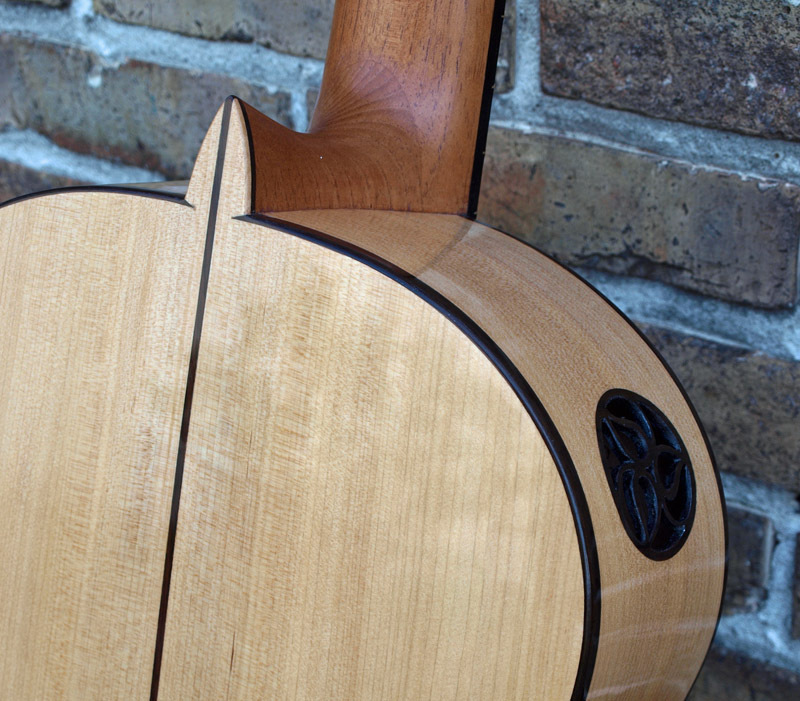 the guitar has been finished and is for sale, There are more photos on my blog. The last couple of years have been very hard on foroflamenco IMHO. Thats something that has touched me deeply and its the main reason I have been less present for a long time. .
At this very moment I cannot see myself joining another internet based lutherie forum. Iḿ simply said sick and tired of the WWW. Life will go on and find us in other places. To you too, Anders. Guitar sounds really beautiful; I respect your judgement on dryness and sustain. Happy New Year Anders and Everyone. Your guitar sounds perfect, Anders. The dryness - sustain discussion is interesting. I have my own views on the subject, but since they may differ a bit from mainstream ideas and because I have problems with language, I dont feel like joining the discussion. Its to easy to be misunderstood and run over by a truck on this site and frankly said, I have run out of energy on this point. Silence is sweet. The above guitar is #129 from 2016. 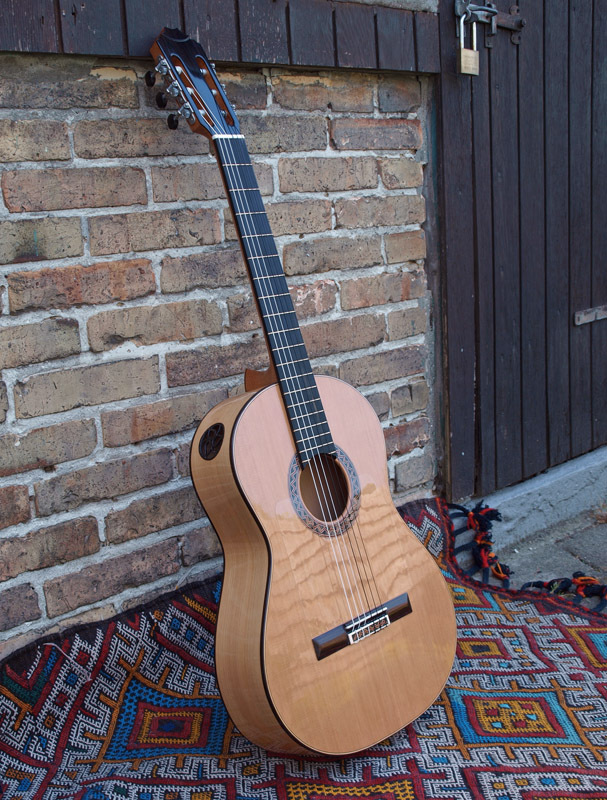 Its a Sitka spruce blanca with a very old fashion sound and pulsation. It sounds and feels old. 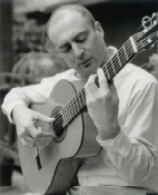 It requires a player that understands that and I was fortunate that Antonio bought it because he really knows how to dig out the personality of an instrument and is capable of playing many different kinds of guitars. He also plays a Cedartop hybrid negra of mine and he makes that one sound absolutely wonderfull and very different from the above. Its to easy to be misunderstood and run over by a truck on this site and frankly said, I have run out of energy on this point. Silence is sweet. If who you are talking about is me then rest assured that I'm here to support your art not trash it. You are a talented person. I think there is enough room for both of us, without getting into any disagreement. 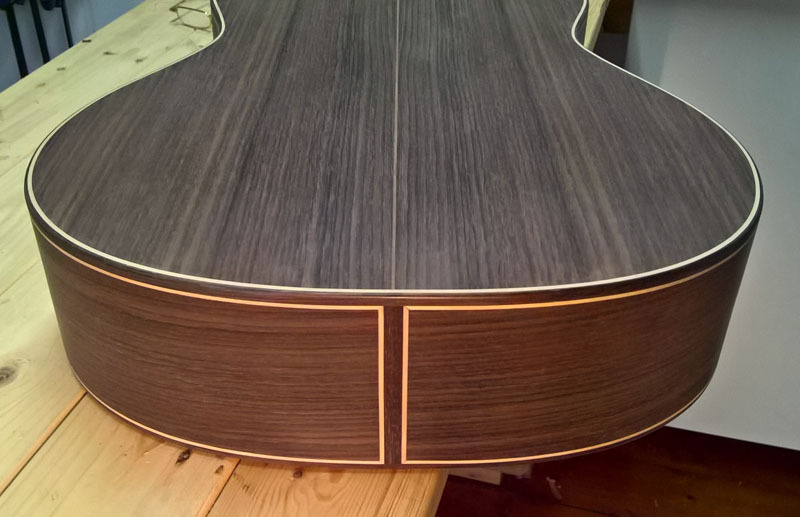 I realize very clearly that there are many ways to build a guitar and this is my commitment to stay with-in a cordial discussion, if there is a discussion. Tom, dont worry, it wasn't adressed towards you or anyone else in particular. I guess I'm just tired of some things here, including language issues. Maybe I shouldn't have written what I did. Take it easy, all is good. Just to be clear, I'm curious, you used cypress for that wide purfling line? What is the dimension of that line? Not Anders, but: He says that it's 1,5mm thick. Or are you asking for other dimensions like depth? Thanks, I just wanted width because I'm stealing this idea. Stealing 1,5mm cypress ideas i ok with me. Yes, I know ...... retarted reply. It has a Pulse! Dr. Dr. ! It Lives! yes... I'm not dead yet. My first handmade rosettes were zig-zag rosettes inspired by Charley Browns sweater. Its been many years (+ 12 )with no zig-zags in my life, so here´s one made out of bloodwood, maple and ebony. zig-zags on tieblock as well. For the moment its not for sale. 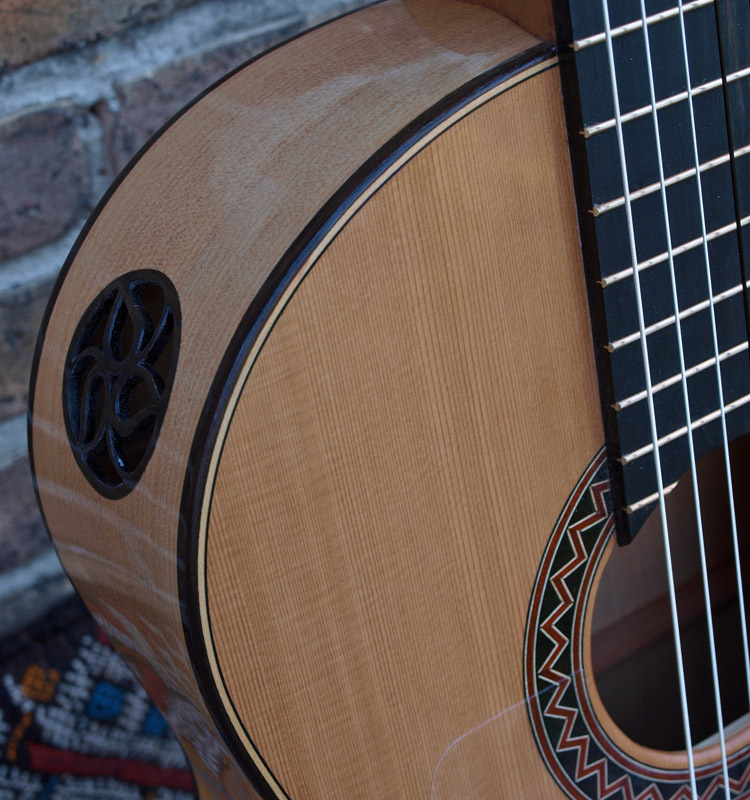 It has almost everything I want in a flamenco guitar. Trust me, there will always be something, maybe very small missing in life, but this one is very close to my wet flamenco dreams.